Etsy is my FAVORITE place to buy gifts for myself and others. So many fabulous handmade items. 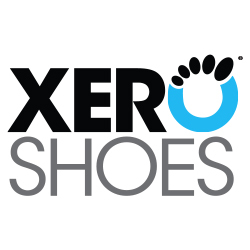 A lot of budding shoe makers started out on Etsy (Unshoes, Soft Star, The Drifter Leather, Gea Soles), and I anticipate some on the following list will become big names in the Minimalist Shoe world. The list below is a compilation of Etsy shops that make minimalist friendly shoes. Most of the sandals on this list are normally made with a small heel and you must request them made completely flat. I personally have only tried a handful of these, so just be sure to do your research and ask any questions you have before purchasing. As always, these lists are a joint effort. So let me know of other Etsy shops you’ve found and loved! Crupon $80 – Women’s shoes only, closed toe flats and sandals. See my full review of one of their styles here. I also have sandals (pictured above) and they are lovely. They are on the narrow side and I needed to stretch them, so they wouldn’t be good for wide feet. Grecian Sandals $40 – Love. See my review here. Kionas Sandals $50 Have not tried these, but owner says you can request no heel at checkout. 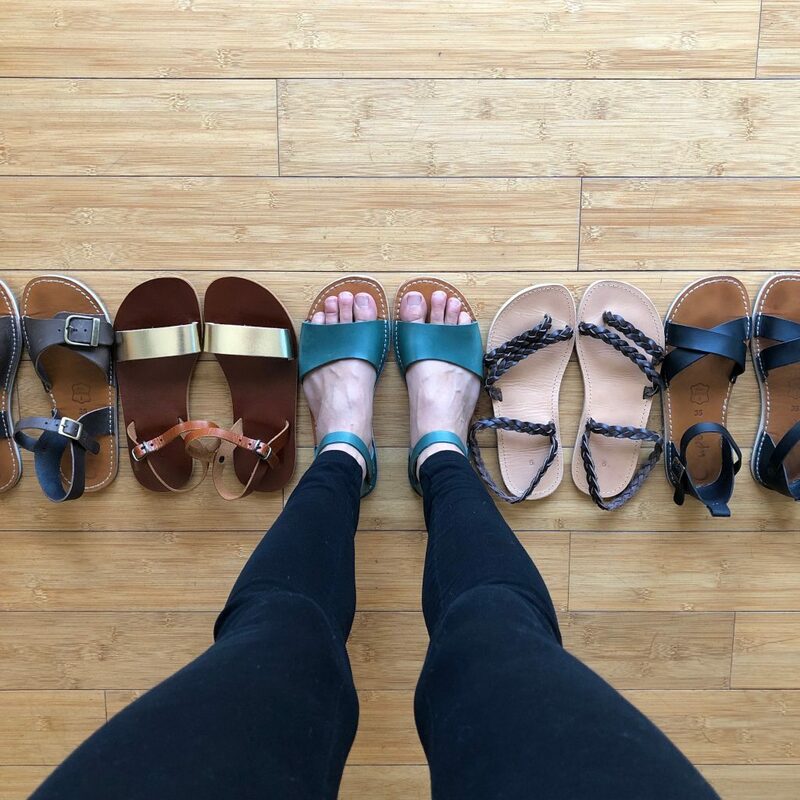 Savopoulos greek sandals – $60 Haven’t tried these yet, but the owner was helpful and they will adjust the width of straps by request. The soles are made of Vibram and they have a million rave reviews. I plan to try them soon. You can also just checkout and request no heel in the notes section. Greek Sandals Penelope – $50 She will customize the sole of these sandals based on a foot tracing and measurements, which is not common. These are the most affordable customized sandals I’ve found. Her soles are made of rubber. You also can simply request no heel at checkout. Nikos Shoes Sandals – $60 Shop owner replied that some styles could be made without a heel, but then hasn’t respond yet about which ones. I would message before purchasing. Holy Cow Chic – $100 Some options are already flat, and the ones that aren’t can’t be modified. You’ll have to look closely at the listings and ask the shop owner about specific shoes. Laboo Leather – $67 Owner was very responsive and can make all their sandals heel-less by request. Gaucho Ninja Leather UK $200 – These are handmade barefoot leather shoes for men and women and seem to be really high quality. I would have reached out to the owner, but he is away on paternity leave at the moment. Birch Moon farms $200 – Another enthusiastic shoemaker. I chatted with the shop owner and she is very passionate about her work and makes very high quality shoes. They are fully customized to your foot. Dextra Perspective $60 – These are fabric shoes, so are more affordable than the above leather options. The shop owner Mandy is willing to collaborate on new designs and her shoes can be made in all kinds of fun prints. She also will make kids shoes. Currently only has women’s styles in her shop. Soft Walker shoes – $25 These are really affordably leather shoes and boots, and look awesome! Can be made up to preschool age sizes. Moccasins by Desi – $50 Adorable handmade moccasins!